Reporters turned to look at the spot he indicated, but there was no sign of the first lady. There’s even a photo of the moment Trump directed reporters to look up at his wife, before she apparently dissolved into the ether. 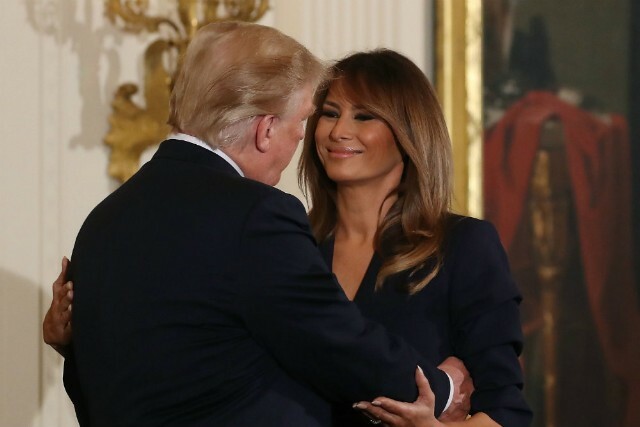 The first lady’s absence has raised eyebrows, given that she spent five nights at Walter Reed Medical Center for a procedure medical experts say usually doesn’t require nearly as long. Melania’s absence is especially mysterious considering the recent launch of her high-profile, grammatically awkward “Be Best” initiative to keep kids from abusing social media and/or opioids. She’s also been absent from photo ops typically attended by FLOTUS, such as a visit from South Korean first lady Kim Jung-sook earlier this week. 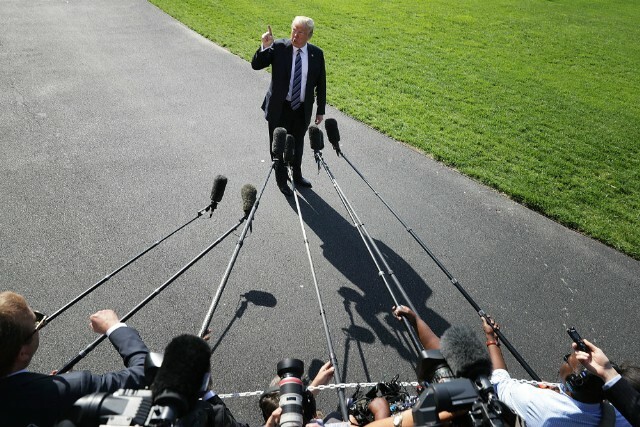 In the meantime, it will be interesting to see how long the president can keep up the, “Hey, look over there!” strategy for staving off questions about his wife.